Perhaps one of the most surprising announcements made at Apple’s iPhone press conference this week was the news that not one, but two genuinely interesting games are on the way – Will Wright’s Spore and Sega’s mighty Monkey Ball . Apple claims that this marks the shift from ‘mobile phone gaming’ to true ‘console’ gaming on the iPhone. “The animation technology in the iPhone OS enables us to build awesome games,” said John Riccitiello, CEO of Electronic Arts in a statement today. “I think iPhone consumers are going to be blown away by the games we create for this platform." Simon Jeffery, president and COO, Sega of America added: “The iPhone OS is a robust development platform that will allow Sega to deliver mobile gaming experiences that are truly compelling." 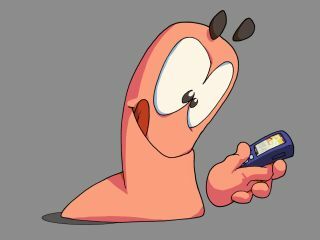 TechRadar can also reveal that leading Britsoft developer, Team 17 Software also plans to bring Worms to the iPhone. Martyn Brown, studio director and the lauded designer behind one of our favourite long-running gaming franchises told us today: “I think [the SDK news] is a fantastic and positive move opening up the iPhone to developers, as it is a potentially tremendous device for casual games. "Just based on the blurbs, it looks very good -- a simulator plus debugging on the native device is the best of both worlds, and a 70 per cent royalty deal for apps over iTunes is quite good… The iTunes distribution channel is really a more important aspect than a lot of people understand. "This type of developer/customer interaction is probably the wave of the future for mobile devices, it will be interesting to see how quickly the other players can react," Cormack concluded. "Based on our experiences with the carriers, I am betting not very quickly." TechRadar has contacted EA, Sega/Glu Mobile, Activision and a number of other games publishers today to find out more about what’s in store for iPhone gaming this year. We will of course bring you the updates as soon as we have them. “For me the most interesting aspect of the Apple announcement is that independent developers will also now start coming forward, as the Apps Store gives them the right to distribute their titles,” Rob Hearn, editor of specialist website Pocketgamer.com, told us today. Pity poor BlackBerry, as it is hit by a double whammy from Apple this week. Not only does the iPhone now support push email and everything else that the business user requires, but what with iPhone gaming support from SEGA, EA and others, the present gaming offering for BlackBerry seems rather lacklustre in comparison with the shiny new future of iPhone gaming. Pub Fun Duck Shoot anybody?